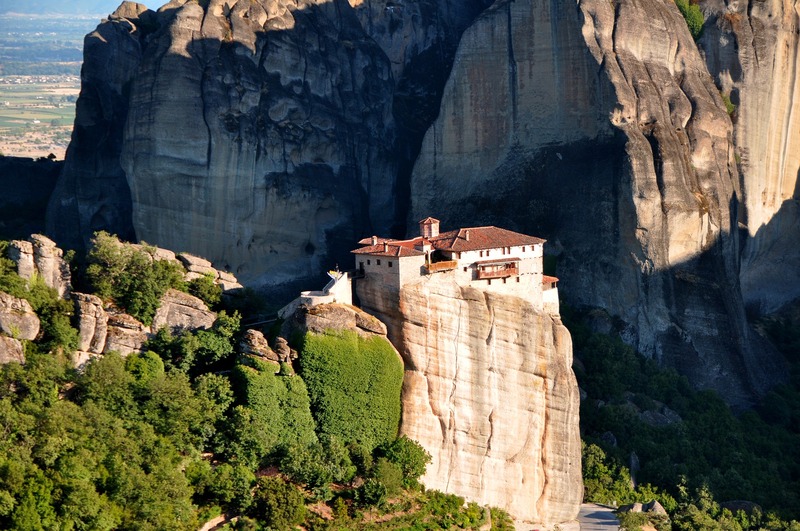 Athens is a cool city. You can spend ages roaming on its streets in search for photos. You can enjoy the good food, the ouzo and the Retsina wine on a terrace in Plaka. You can watch the boats and the luxury yachts in Piraeus. You can wander around the lovely neighborhoods of Glyphada. What you can’t enjoy in Athens is a quiet beach vacation. 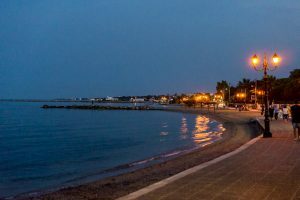 This is the first article in the series “beaches near Athens” and it talks about Nea Makri, a small town and a beach resort where Athens locals spend their vacations and some of their weekends. 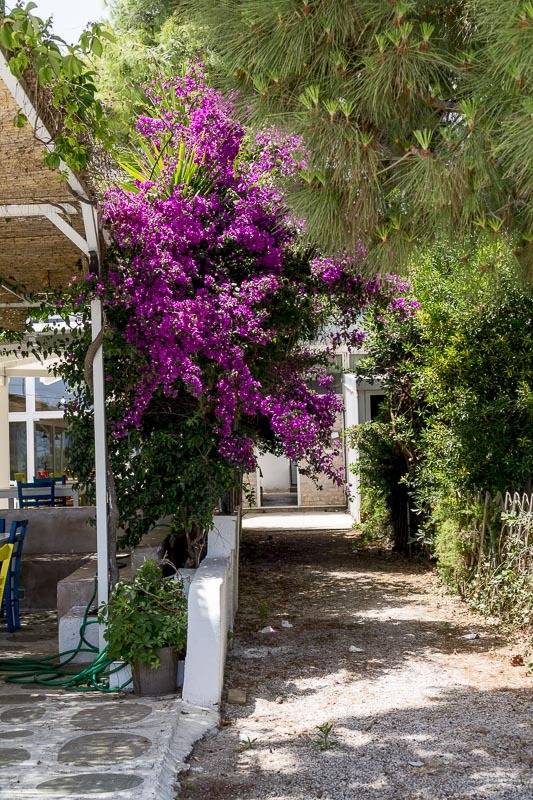 Nea Makri is located in the Attica Peninsula, at the Aegean Sea, along the Petalioi Gulf. 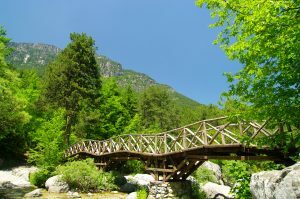 It is at 25 km distance from Athens City center, 7 km north from Rafina, and 8 km south from Marathon. 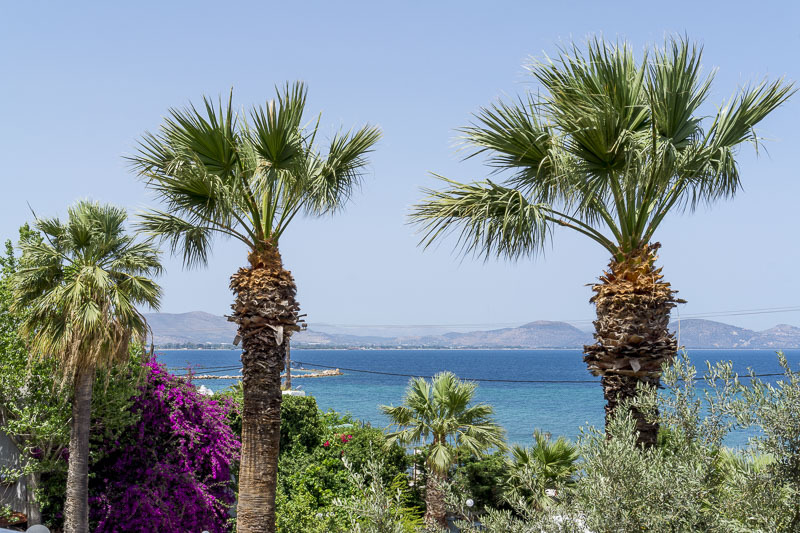 This town is well-known for being home to some of the best beaches near Athens. The easiest way to get to Nea Makri from Athens airport is by taxi. Any taxi driver will take you there. The journey takes about 30-50 minutes, depending on the time and of the day of the week. At 55 Euro, the price is a bit steep. 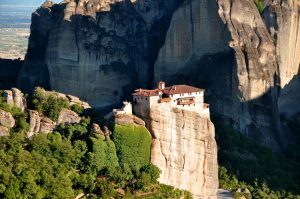 However, a group of four people will find it rather reasonable, taking into consideration the convenience of getting there in one go, without worrying about changing buses and finding hotels. 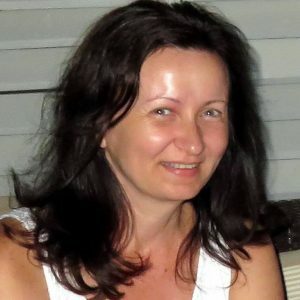 If you travel solo, the situation is different, particularly if you are on a shoestring budget. Let’s see what are your options and how good each of them is. 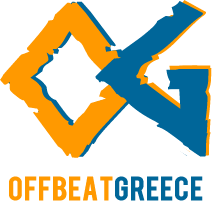 You can take the X95 express bus or the metro to get to Athens, and then take a regular Ktel bus to Marathon or Grammatiko. You need to get to Pallini to take these buses. If you are keen on trying this route, take a look at the orange ktel buses timetable here. The price of a X95 bus ride is 6 Euro, one way. The Ktel bus ride to Nea Marki, one way, is 2.90 Euro. Unfortunately, you can expect this journey to take three hours, if not more. You’ll save some money, but you’ll waste a lot of time. At the airport, you have to take the metro to Pallini. The ride takes about 15 minutes. You can find the timetable here. From Pallini, you have to take the orange Ktel bus, just like in the first option. The cost of the 90 minute metro ticket to Pallini is 6 Euro, so the total cost of the trip is the same as in the previous variant. There are Ktel buses that go from Athens airport to Rafina. The cost of the one way ride is 3 Euro and the journey takes about 40 minutes. As Rafina is only 7 km away from Nea Makri, a taxi ride would probably cost you around 15 Euro. I’d say this is the most sensible option. Beware, though ,everything depends on the time of your flight. If you land on the Athens airport late evening, you may only have the taxi option, as not all of these buses run by night time. 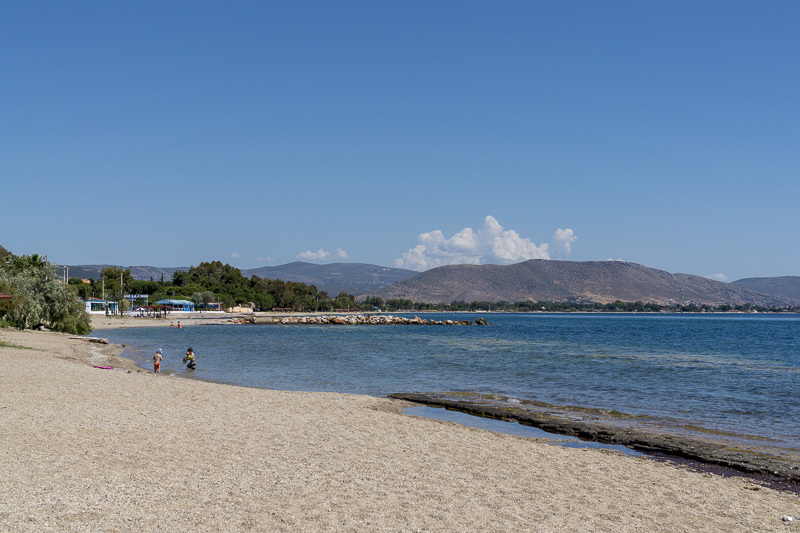 There are several hotels with beach view in Nea Makri. I’ve stayed in Nireus Hotel, a reasonably priced but rather basic two-star accommodation. We were a group of four girls, so we decided to take a two-room apartment. The view from our balcony was perfect. The hotel was clean, but quite outdated. At 15 Euro per night per person, though, we considered it to be an excellent deal. 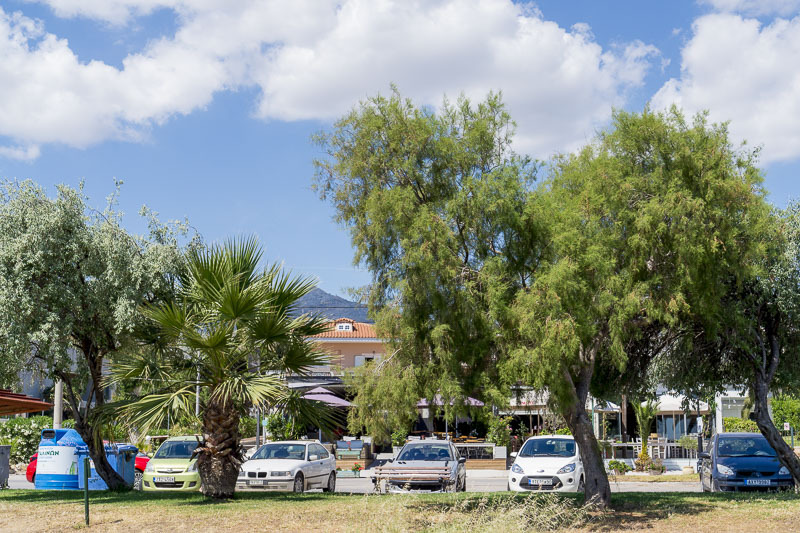 There was no breakfast included in this price, but Nea Makri is full of tavernas ready to serve you just about any kind of breakfast you want. 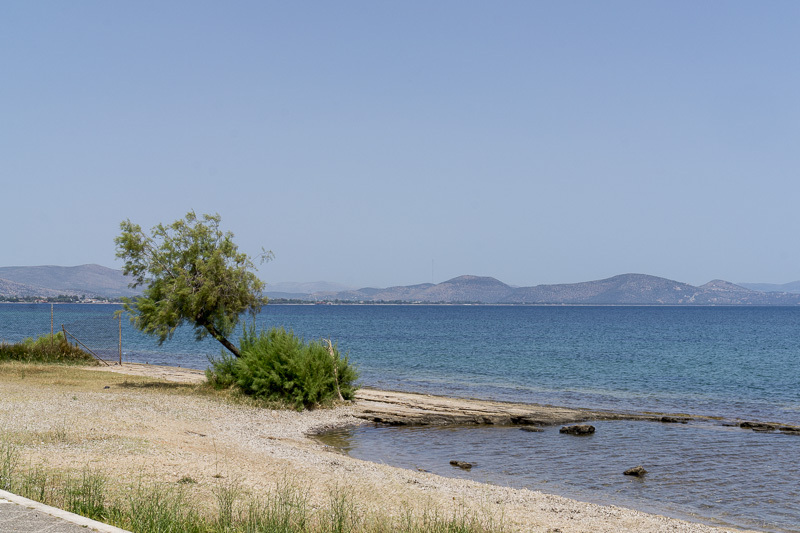 There’s not much to do here, but if you want to experience mindfulness for a few days, Nea Makri can be the perfect retreat. You can walk on the promenade, use the fitness equipment in the park, swim, take photos of flowers, crabs, clouds and food, and enjoy the present moment. 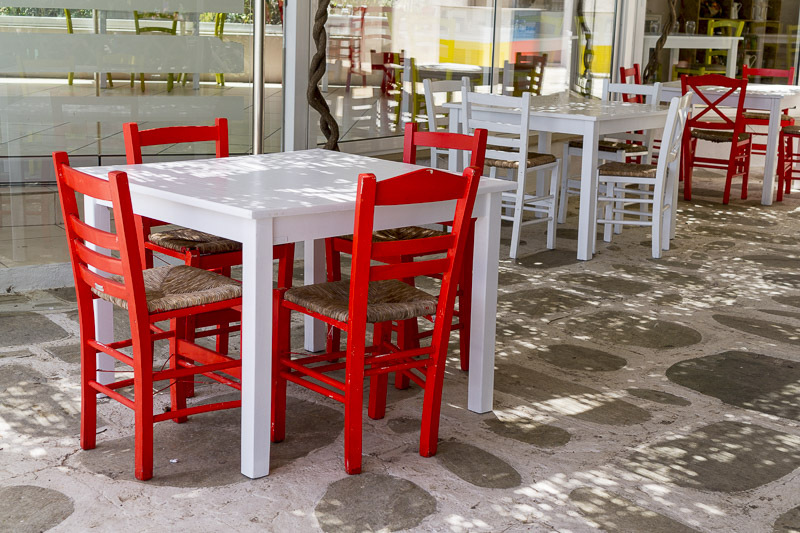 Most tavernas use the traditionally Greek blue and white combination. However, this owner has decided to switch to red and white. It doesn’t look bad at all. The beachfront promenade is huge. You can walk for about one hour from one end to the other. Many people do jogging in the evening or early in the morning. 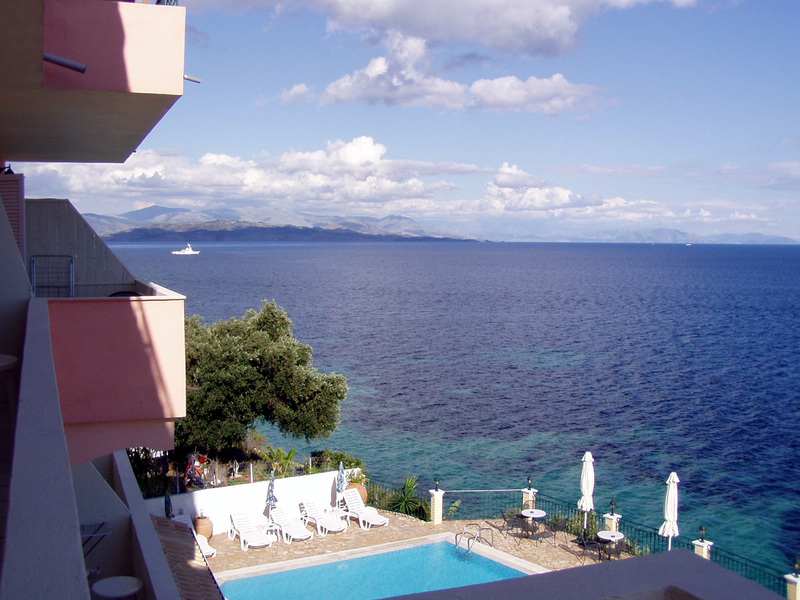 This is the view from Nireus Hotel. I should have probably removed the wires, but I wanted to show you the real thing. This is the view of the sunset from our balcony. Apart from those wires, everything looks just great. 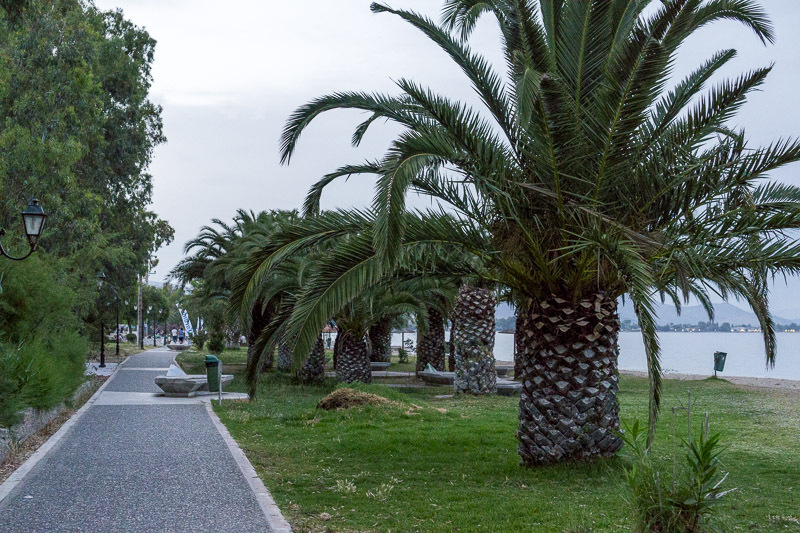 The promenade takes you along between fat palm trees and beautiful lawns. Everything looks neat, and there’s barely any garbage on the streets. This is so much better than the center of Athens! The seaside resort gets busy during weekends. 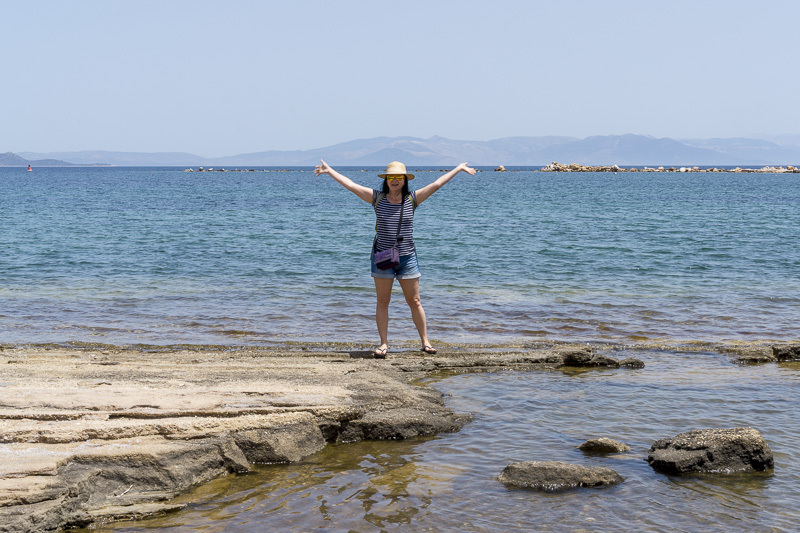 Even so, it’s a tranquil spot, an excellent choice to enjoy beaches near Athens without the crowds. Beaches near Athens are peaceful off season. If the weather is good, you can feel like 30 or 40 years ago, before the “organized beaches” were invented. 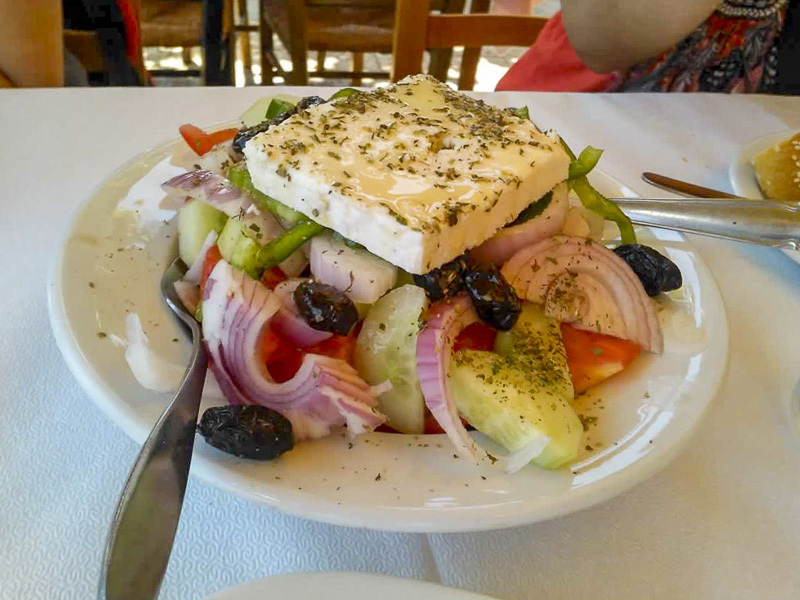 Tasty and refreshing, the Greek salad is perfect for any moment of the day. 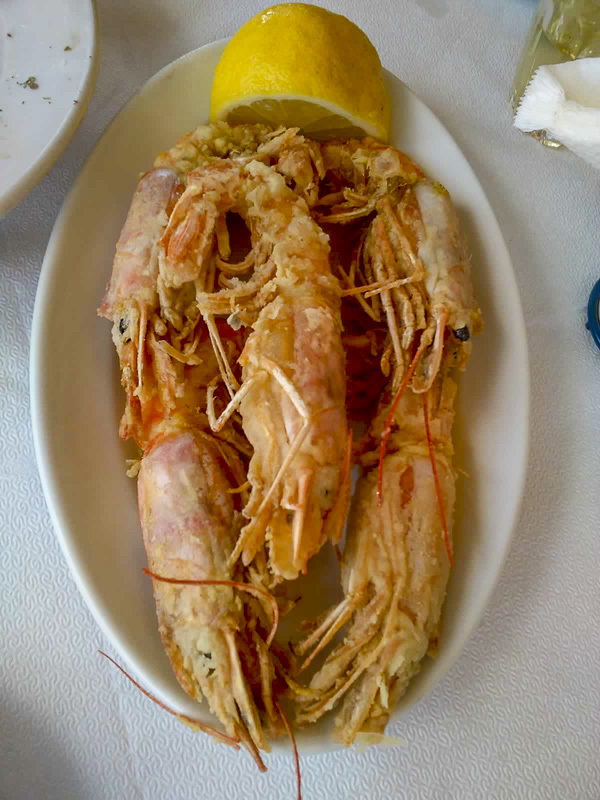 These are the best fried shrimps in Greece, you have to take my word for it! They serve this dish at a small, family-owned restaurant on the main street. While here, you can take a trip to Marathon to see where this competition had been invented. 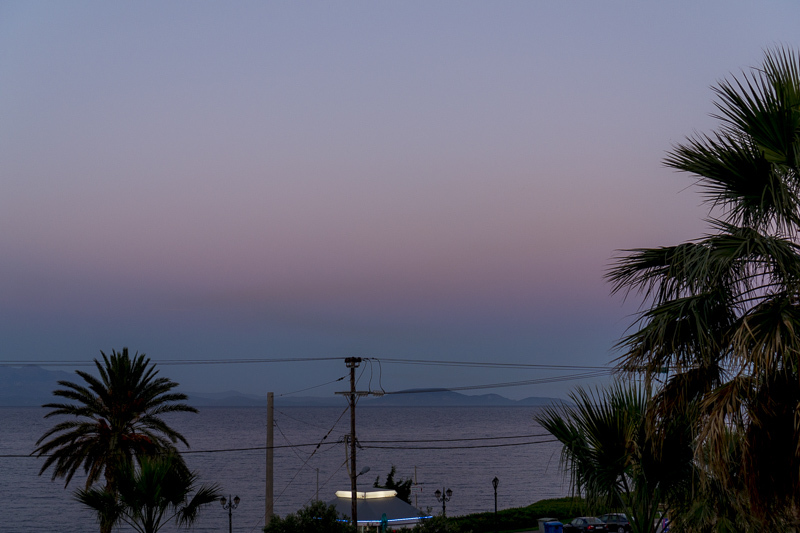 You can also visit Rafina or take a ferry to your next Greece destination. 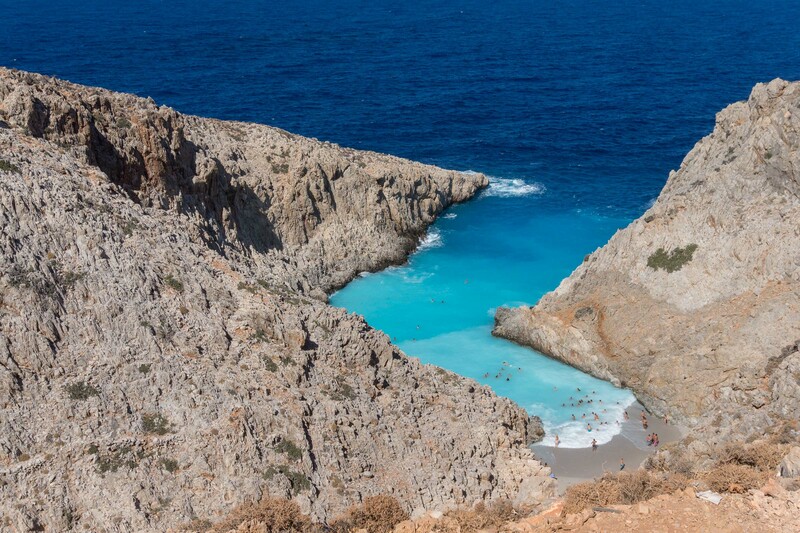 Whatever your Greece holiday, think about saving a few days to spend them on these beaches near Athens. You’ll be glad you’ve done it.